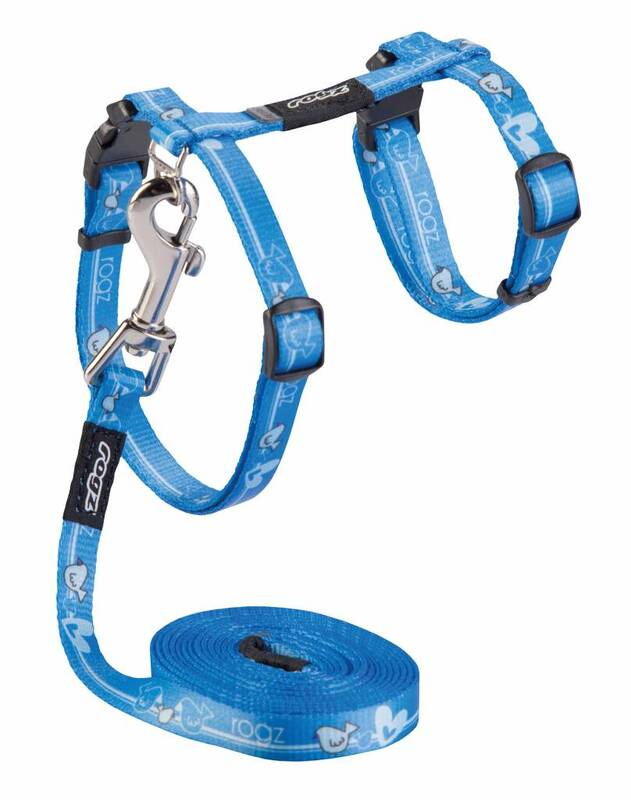 A cute blue cat harness of soft nylon, fully adjustable with a matching belt of 180 cm. 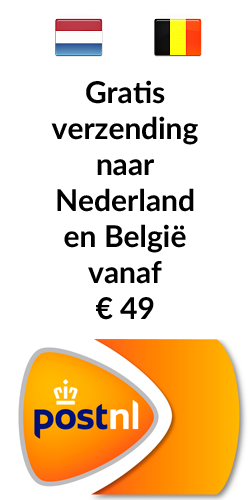 In two sizes. 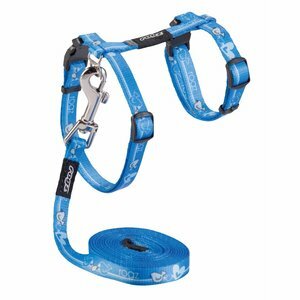 This is a cute blue cat harness that is made of soft nylon. The harness is adjustable on both sides. The cat harness is equipped with two safety locks: Rogz developed the break-away safety buckle. This ensures that the buckkle springs open when the cat gets caught on something. The beauty and uniqueness of this closure that you yourself can set the load, to prevent the buckles spring open too fast. However, the buckle will open if too much pressure is applied to the closures. This harness comes complete with a matching belt of 180 cm.